ARMOR Office Printing is attending PaperWorld from January 26th to 29th (Hall 5.1, Stand C86), 2019 in Frankfurt. In a controversial context regarding the presence on the European market of "new-built" cartridges that do not comply with the regulations in force, ARMOR Office Printing, a member of ETIRA, shares its commitment to produce cartridges that meet the safety and security criteria of European standards. To meet these requirements, ARMOR Office Printing invested 150K€ in R&D in 2018. 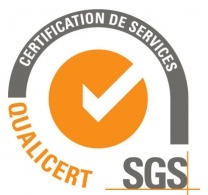 The management of the OEM and remanufactured cartridges in Europe is very strict. The various regulations include the conformity of the cartridges with European standards (WEEE, REACH and RoHS directives) and the intellectual property framework. They are intended to protect the health and living environment of the European Union citizens while ensuring the sustainability of the products. 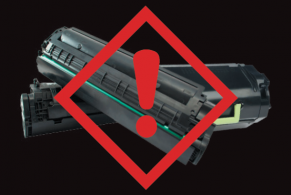 These regulations apply to printing consumables produced in Europe, but according to ETIRA, European border control is not enough to protect the user and inform them towards the composition of these "new-built" non-OEM cartridges imported in Europe. On 27 September 2018, ETIRA issued a statement alerting the presence on the European market of "new-built" non-OEM cartridges with a hazardous level of chemical content (including DecaBDE). « As of today, more than 5 million "new-built" non-OEM cartridges, and so potentially not reusable, are present on the European market. This is the overall quality of the offer and the security of the users, which are at stake. Choosing a cartridge remanufactured by ARMOR means choosing a consumable that is eco-responsible » explains Gerwald van der Gijp, Managing Director of ARMOR Office Printing and member of the Board of Directors of ETIRA. With thirty years of industrial know-how, ARMOR Office Printing became an expert in the production of remanufactured printing consumables. As a proof of its leadership in the market, ARMOR Office Printing's print cartridges cover more than 90% of the European fleet. In 2018, ARMOR Office Printing invested € 150,000 in R & D to remanufacture printing consumables complying with the REACH, CLP, RoHS and WEEE European directives. Partners and end-users are sure that those cartridges are safe for both the end-user and the environment. Furthermore, ARMOR Office Printing commits itself to respect the European Intellectual Property Directives for the design of its cartridges. From 2008 (REACh), European Union prohibits the use of DecaBDE (décabromodiphényléther) beyond 1000ppm in electronical and electrical devices (including the printing consumables), and completely bans it from several other products. http://www.etira.org. There are 130 million cartridges introduced on the European market each year, for a market (ink and laser) worthing 17 billion euros.